See, back in the day, I ran another blog called SarahEatsAustin while I was in culinary school. This post came out during the beginning of my last semester and I wrote something along the lines of “I can’t wait to be done and free. I’m tired of feeling stuck” which is true. I definitely remember that part. But then I wrote something along the lines of “but maybe I’ll go back to school at some point. Get a bachelors. We’ll see”. Well, little past me… You were right. Little did you know you would be back in school 3 years later going for your bachelor’s degree and funny enough, trying to make this whole blogging thing work once again. It’s funny how life works out sometimes and funny how sometimes I think we all kind of know what we’re going to do, even if at the moment we feel like we’re just struggling to get through the day, let alone make plans for the next few years. But anyway ya’ll, this dish is warm and comforting, a perfect fall dish for those cool nights that will hopefully be coming up soon. Cook lentils to package instructions. Meanwhile, chop cauliflower into florets and steam until tender, about 5-10 minutes. Whisk the mustard and lemon juice to create the dressing. 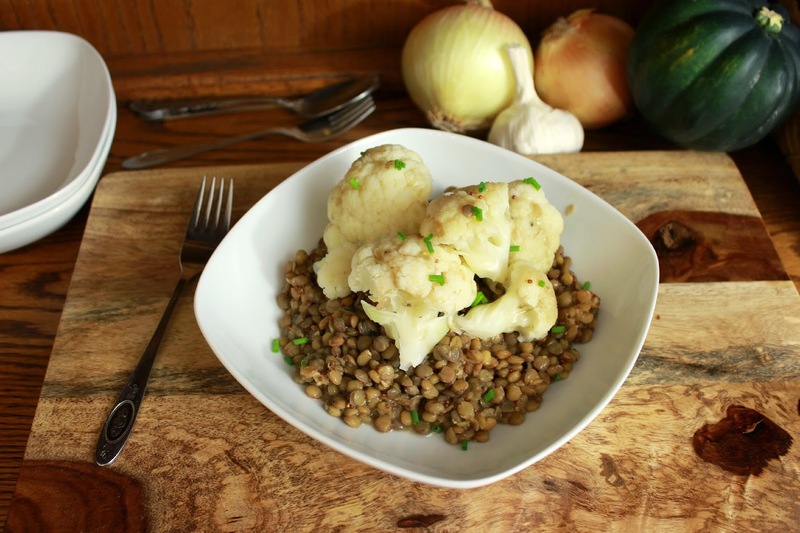 To serve, make a bed of lentils on the plate and top with cauliflower. Drizzle dressing over and garnish with chopped chives. Serve immediately. 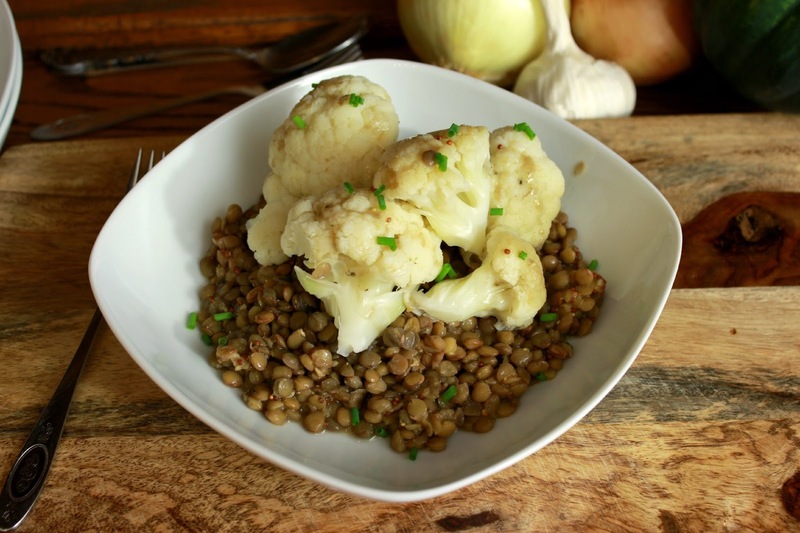 This entry was posted in recipes and tagged cauliflower recipes, delicious, fall recipes, healthy comfort food, lentil recipes, lentils and cauliflower with mustard, mustard recipes, vegan comfort food, vegan fall foods, vegan recipes by Escapes and Escapades. Bookmark the permalink.